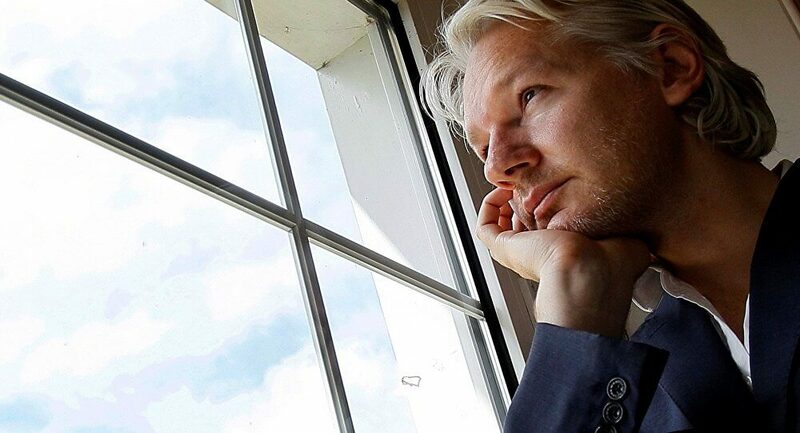 The failure on the part of establishment media to defend Julian Assange, who has been trapped in the Ecuadorean Embassy in London since 2012, has been denied communication with the outside world since March and appears to be facing imminent expulsion and arrest, is astonishing. The extradition of the publisher—the maniacal goal of the U.S. government—would set a legal precedent that would criminalize any journalistic oversight or investigation of the corporate state. It would turn leaks and whistleblowing into treason. It would shroud in total secrecy the actions of the ruling global elites. If Assange is extradited to the United States and sentenced, The New York Times, The Washington Post and every other media organization, no matter how tepid their coverage of the corporate state, would be subject to the same draconian censorship. Under the precedent set, Donald Trump’s Supreme Court would enthusiastically uphold the arrest and imprisonment of any publisher, editor or reporter in the name of national security. 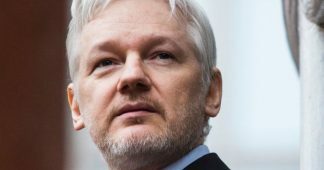 There are growing signs that the Ecuadorean government of Lenín Moreno is preparing to evict Assange and turn him over to British police. 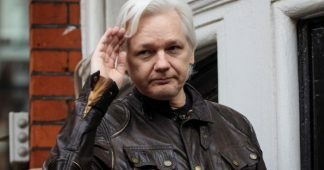 Moreno and his foreign minister, José Valencia, have confirmed they are in negotiations with the British government to “resolve” the fate of Assange. 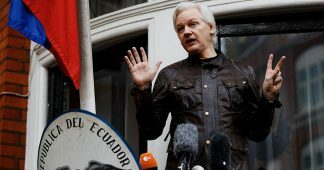 Moreno, who will visit Britain in a few weeks, calls Assange an “inherited problem” and “a stone in the shoe” and has referred to him as a “hacker.” It appears that under a Moreno government Assange is no longer welcome in Ecuador. His only hope now is safe passage to his native Australia or another country willing to give him asylum. Assange, who reportedly is in ill health, took asylum in the embassy to avoid extradition to Sweden to answer questions about sexual offense charges. He feared that once in Swedish custody for these charges, which he said were false, he would be extradited to the United States. 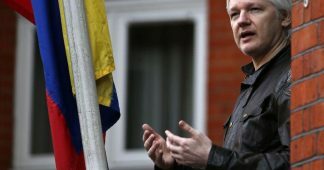 The Swedish prosecutors’ office ended its “investigation” and extradition request to Britain in May 2017 and did not file sexual offense charges against Assange. But the British government said Assange would nevertheless be arrested and jailed for breaching his bail conditions. 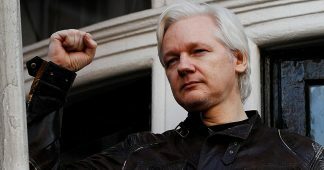 The persecution of Assange is part of a broad assault against anti-capitalist and anti-imperialist news organizations. The ruling elites, who refuse to accept responsibility for profound social inequality or the crimes of empire, have no ideological veneer left to justify their greed, ineptitude and pillage. Global capitalism and its ideological justification, neoliberalism, are discredited as forces for democracy and the equitable distribution of wealth. The corporate-controlled economic and political system is as hated by right-wing populists as it is by the rest of the population. This makes the critics of corporatism and imperialism—journalists, writers, dissidents and intellectuals already pushed to the margins of the media landscape—dangerous and it makes them prime targets. Assange is at the top of the list. I took part with dozens of others, including Daniel Ellsberg, William Binney, Craig Murray, Peter Van Buren, Slavoj Zizek, George Galloway and Cian Westmoreland, a week ago in a 36-hour international online vigil demanding freedom for the WikiLeaks publisher. The vigil was organized by the New Zealand Internet Party leader Suzie Dawson. It was the third Unity4J vigil since all of Assange’s communication with the outside world was severed by the Ecuadorean authorities and visits with him were suspended in March, part of the increased pressure the United States has brought on the Ecuadorean government. Assange has since March been allowed to meet only with his attorneys and consular officials from the Australian Embassy. 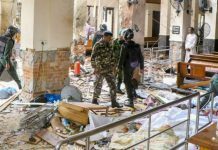 The Inter-American Court of Human Rights ruled Friday that those seeking political asylum have the right to take refuge in embassies and diplomatic compounds. The court stated that governments are obliged to provide safe passage out of the country to those granted asylum. The ruling did not name Assange, but it was a powerful rebuke to the British government, which has refused to allow the WikiLeaks co-founder safe passage to the airport. The ruling elites no longer have a counterargument to their critics. They have resorted to cruder forms of control. These include censorship, slander and character assassination (which in the case of Assange has sadly been successful), blacklisting, financial strangulation, intimidation, imprisonment under the Espionage Act and branding critics and dissidents as agents of a foreign power and purveyors of fake news. The corporate media amplifies these charges, which have no credibility but which become part of the common vernacular through constant repetition. 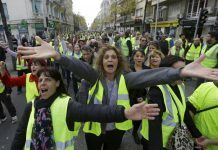 The blacklisting, imprisonment and deportation of tens of thousands of people of conscience during the Red Scares of the 1920s and 1950s are back with a vengeance. It is a New McCarthyism. Did Russia attempt to influence the election? Undoubtedly. This is what governments do. 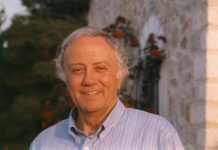 The United States interfered in 81 elections from 1945 to 2000, according to professor Dov Levin of Carnegie Mellon University. His statistics do not include the numerous coups we orchestrated in countries such as Greece, Iran, Guatemala and Chile or the disastrous Bay of Pigs invasion in Cuba. We indirectly bankrolled the re-election campaign of Russia’s buffoonish Boris Yeltsin to the tune of $2.5 billion. But did Russia, as the Democratic Party establishment claims, swing the election to Trump? No. Trump is not Vladimir Putin’s puppet. He is part of the wave of right-wing populists, from Nigel Farage and Boris Johnson in Britain to Viktor Orbán in Hungary, who have harnessed the rage and frustration born of an economic and political system dominated by global capitalism and under which the rights and aspirations of working men and women do not matter. The Democratic Party establishment, like the liberal elites in most of the rest of the industrialized world, would be swept from power in an open political process devoid of corporate money. The party elite, including Chuck Schumer and Nancy Pelosi, is a creation of the corporate state. Campaign finance and electoral reform are the last things the party hierarchy intends to champion. It will not call for social and political programs that will alienate its corporate masters. This myopia and naked self-interest may ensure a second term for Donald Trump; it may further empower the lunatic fringe that is loyal to Trump; it may continue to erode the credibility of the political system. But the choice before the Democratic Party elites is clear: political oblivion or enduring the rule of a demagogue. They have chosen the latter. They are not interested in reform. They are determined to silence anyone, like Assange, who exposes the rot within the ruling class. The Democratic Party establishment benefits from our system of legalized bribery. It benefits from deregulating Wall Street and the fossil fuel industry. It benefits from the endless wars. It benefits from the curtailment of civil liberties, including the right to privacy and due process. It benefits from militarized police. It benefits from austerity programs. It benefits from mass incarceration. It is an enabler of tyranny, not an impediment. Demagogues like Trump, Farage and Johnson, of course, have no intention of altering the system of corporate pillage. Rather, they accelerate the pillage, which is what happened with the passage of the massive U.S. tax cut for corporations. They divert the public’s anger toward demonized groups such as Muslims, undocumented workers, people of color, liberals, intellectuals, artists, feminists, the LGBT community and the press. 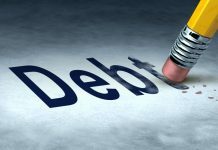 The demonized are blamed for the social and economic dysfunction, much as Jews were falsely blamed for Germany’s defeat in World War I and the economic collapse that followed. Corporations such as Goldman Sachs, in the midst of the decay, continue to make a financial killing. The corporate titans, who often come out of elite universities and are groomed in institutions like Harvard Business School, find these demagogues crude and vulgar. They are embarrassed by their imbecility, megalomania and incompetence. But they endure their presence rather than permit socialists or leftist politicians to impede their profits and divert government spending to social programs and away from weapons manufacturers, the military, private prisons, big banks and hedge funds, the fossil fuel industry, charter schools, private paramilitary forces, private intelligence companies and pet programs designed to allow corporations to cannibalize the state. The irony is that there was serious meddling in the presidential election, but it did not come from Russia. The Democratic Party, outdoing any of the dirty tricks employed by Richard Nixon, purged hundreds of thousands of primary voters from the rolls, denied those registered as independents the right to vote in primaries, used superdelegates to swing the vote to Hillary Clinton, hijacked the Democratic National Committee to serve the Clinton campaign, controlled the message of media outlets such as MSNBC and The New York Times, stole the Nevada caucus, spent hundreds of millions of dollars of “dark” corporate money on the Clinton campaign and fixed the primary debates. This meddling, which stole the nomination from Bernie Sanders, who probably could have defeated Trump, is unmentioned. The party hierarchy will do nothing to reform its corrupt nominating process. WikiLeaks exposed much of this corruption when it published tens of thousands of messages hacked from Clinton campaign chairman John Podesta’s email account. The messages brought to light the efforts by the Democratic Party leadership to thwart the nomination of Sanders, and they disclosed Clinton’s close ties with Wall Street, including her lucrative Wall Street speeches. They also raised serious questions about conflicts of interest with the Clinton Foundation and whether Clinton received advance information on primary-debate questions. The Democratic National Committee, for this reason, is leading the Russia hysteria and the persecution of Assange. It filed a lawsuit that names WikiLeaks and Assange as co-conspirators with Russia and the Trump campaign in an alleged effort to steal the presidential election. In addition to offering no evidence, PropOrNot never even disclosed who ran the website. 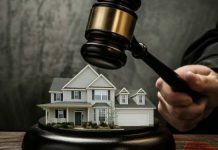 Even so, its charge was used to justify the imposition of algorithms by Google, Facebook, Twitter and Amazon to direct traffic away from the targeted sites. These algorithms, or filters, overseen by thousands of “evaluators,” many hired from the military and security and surveillance apparatus, hunt for keywords such as “U.S. military,” “inequality” and “socialism,” along with personal names such as Julian Assange and Laura Poitras. 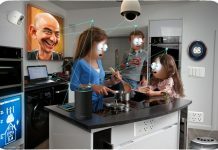 The keywords are known as “impressions.” Before the imposition of the algorithms, a reader could type in the name Julian Assange and be directed to an article on one of the targeted sites. After the algorithms were put in place, these impressions directed readers only to mainstream sites such as The Washington Post. Referral traffic from the impressions at most of the targeted sites has plummeted, often by more than half. This isolation will be compounded by the abolition of net neutrality. Any news or media outlet that addresses the reality of our failed democracy and exposes the crimes of empire will be targeted. The January 2017 Director of National Intelligence Report spent seven pages on RT America, where I have a show, “On Contact.” The report does not accuse RT America of disseminating Russian propaganda, but it does allege the network exploits divisions within American society by giving airtime to dissidents and critics including whistleblowers, anti-imperialists, anti-capitalists, Black Lives Matter activists, anti-fracking campaigners and the third-party candidates the establishment is seeking to mute. If the United States had a public broadcasting system free from corporate money or a commercial press that was not under corporate control, these dissident voices would be included in the mainstream discourse. But we don’t. Howard Zinn, Noam Chomsky, Malcolm X, Sheldon Wolin, Ralph Nader, James Baldwin, Susan Sontag, Angela Davis and Edward Said once appeared regularly on public broadcasting. Now critics like these are banned, replaced with vapid courtiers such as columnist David Brooks. RT America was forced to register under the Foreign Agent Registration Act (FARA). This act requires Americans who work for a foreign party to register as foreign agents. The FARA registration is part of the broader assault on all independent media, including the effort to silence Assange. WikiLeak’s publication in 2017 of 8,761 CIA files, known as Vault 7, appeared to be the final indignity. Vault 7 included a description of the cyber tools used by the CIA to hack into computer systems and devices such as smartphones. Former CIA software engineer Joshua Adam Schulte was indicted on charges of violating the Espionage Act by allegedly leaking the documents. It is up to us to mobilize to protect Assange. His life is in jeopardy. The Ecuadorean government, violating his fundamental rights, has transformed his asylum into a form of incarceration. By cutting off his access to the internet, it has deprived him of the ability to communicate and follow world events. The aim of this isolation is to pressure Assange out of the embassy so he can be seized by London police, thrown into a British jail and then delivered into the hands of Pompeo, John Bolton and the CIA’s torturer in chief, Gina Haspel. Assange is a courageous and fearless publisher who is being persecuted for exposing the crimes of the corporate state and imperialism. His defense is the cutting edge of the fight against government suppression of our most important and fundamental democratic rights. The government of Prime Minister Malcolm Turnbull of Australia, where Assange was born, must be pressured to provide him with the protection to which he is entitled as a citizen. It must intercede to stop the illegal persecution of the journalist by the British, American and Ecuadorean governments. It must secure his safe return to Australia. If we fail to protect Assange, we fail to protect ourselves.